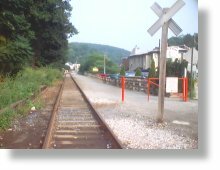 On September 5, 1990 the York County Board of Commissioners adopted an ordinance that officially recognized “a need to promote the use of the former Northern Central Railroad line extending from the Maryland border to the City of York for purposes of transportation and parks and recreation grounds”. This action led to the creation of the York County Rail Trail Authority. The York County Rail Trail Authority was incorporated on September 27, 1990 by the Commonwealth of Pennsylvania. The Authority is comprised of ten volunteers appointed for five-year terms by the Board of Commissioners for the County of York. Officers include a chairman, vice-chairman, secretary, and treasurer. Meetings are held on the second Tuesday of each month at 7 PM at various York County locations. The public is welcome to attend. The Authority’s first project was the construction of a 21-mile, non-motorized recreational trail along the former rail lines of the Northern Central Railway. 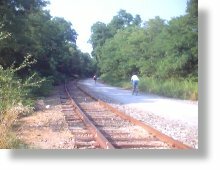 This trail, now known as the Heritage Rail Trail County Park, extends from the Mason Dixon Line south of New Freedom, PA to the city of York. The trail was completed in August of 1999. The management of the trail was transitioned to the York County Department of Parks and Recreation, and is currently operated as one of nine county parks. Working in conjunction with the York County Planning Commission, the Authority is currently identifying additional opportunities throughout the county for recreational trail development. These include: the Hanover Trolley Trail (following the Met-Ed utility corridor known as the York Hanover Trolley Line) and a northern extension of the Heritage Rail Trail County Park (following the Codorus Creek north of York City and connecting to John Rudy County Park). The Authority’s role in the development of these trails varies from that of adviser to that of lead agency.